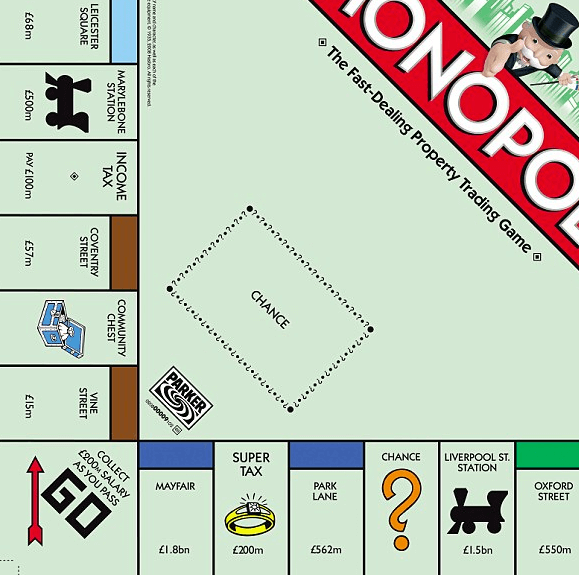 For those that play the game called Monopoly you’ll immediately know that Mayfair is Londons most expensive property location. It’s surrounded by hedge fund managers, investment bankers, global property magnates and those who know better than to ask the price as this would suggest they can’t afford it. 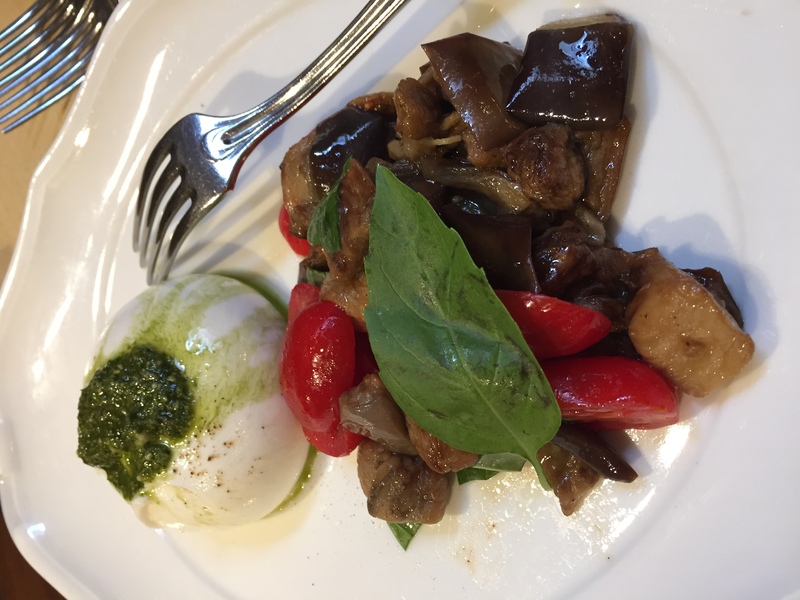 So when Bocconcino’s Russian owner visited Forte Dei Marmi in Italy, he was convinced that nothing could improve on this Northern Tuscan style cuisine and emulated this concept. 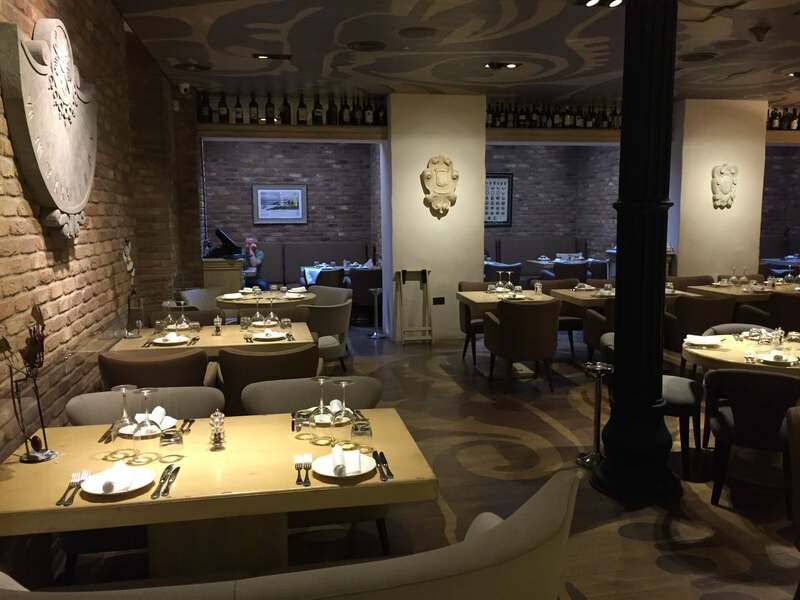 The name was born and restaurants were opened in Moscow, Forte Dei Marmi and amongst Londons exclusive group of restauranteurs found on Berkeley Street. 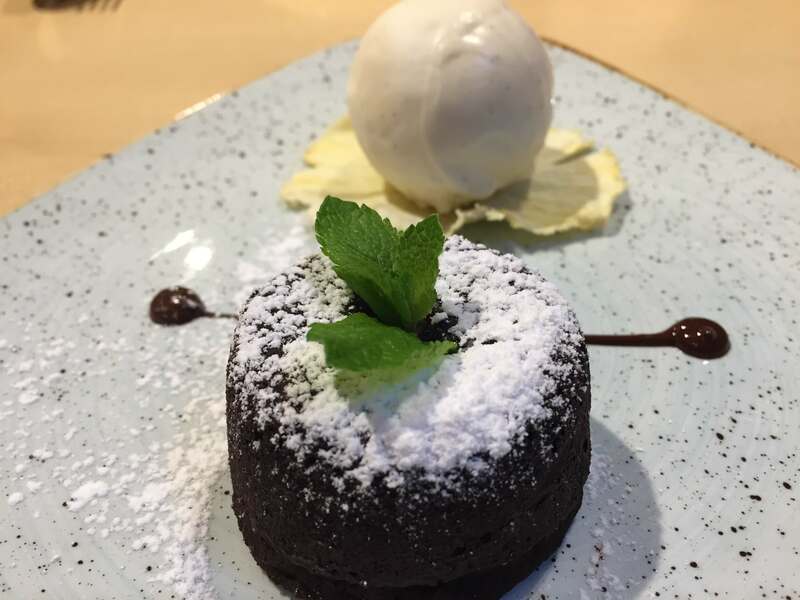 Bocconcino offers the very finest Italian dishes and Pizzas prepared by its Italian chef and staff in the very finest location in central London. The natural stone, distressed furniture, mirrors and tables that await you, designed with creativity set the scene for what is yet to come. 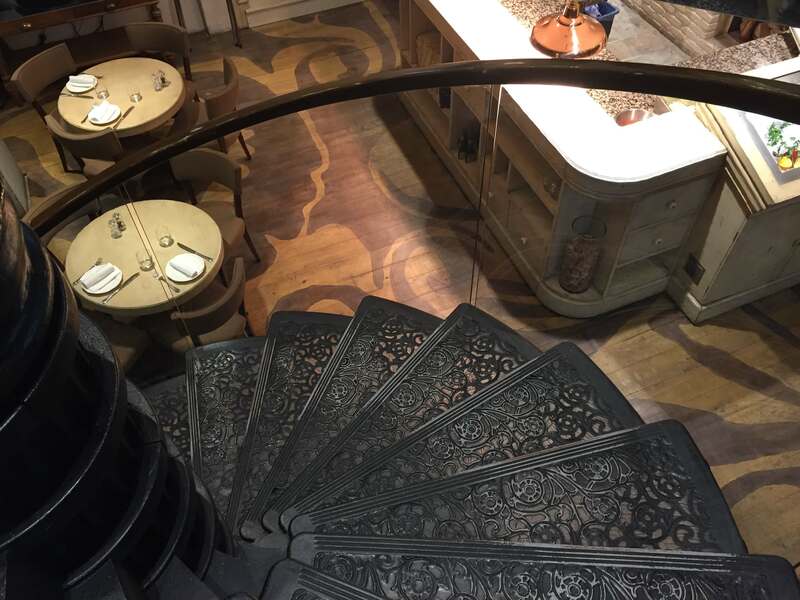 Surprisingly they call themselves a restaurant but it’s so much more than that.. this place is spread over two floors, with the lower floor, where we are lead, reached via a beautiful rustic iron spiral staircase. 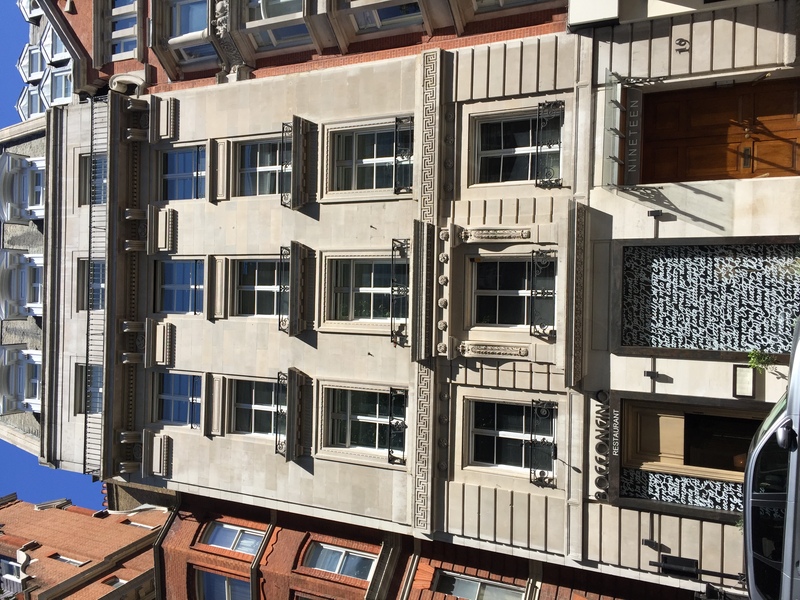 This place is situated in an exclusive part of Mayfair close to neighbouring restaurants, theatres and West End shopping. The other restauranteurs here on Berkeley Street offer other types of cuisine each with their own unique style and believing their exclusivity makes them the best. 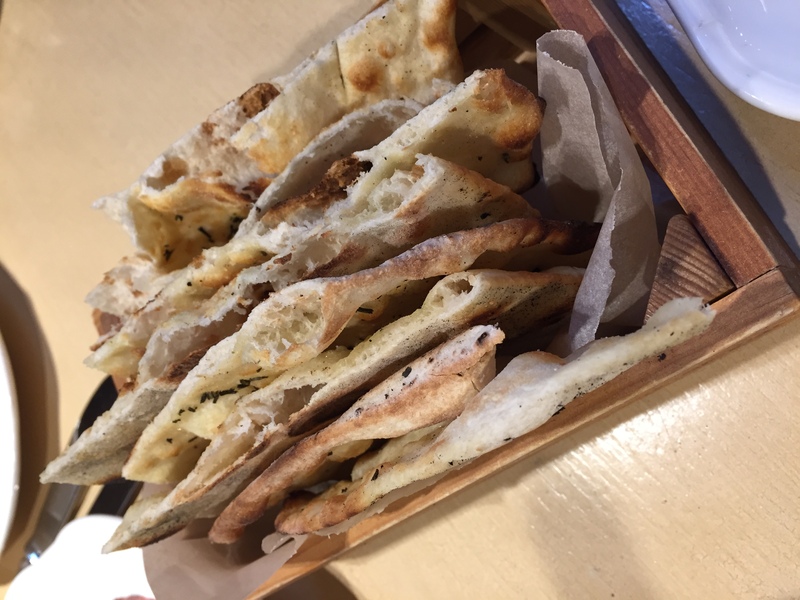 Starters here include the Scottish Beef Carpaccio in mustard dressing, thinly sliced, well chilled and succulent… great start to the meal accompanied by Focaccia al romarino. The Andria Burrata with aubergine and pesto was delicious! Every bite chilled to perfection, and oozing with the internal contents of this classic dish. The presentation here understated the quality of this fresh food which I found to be crisp, well chilled and served on the white Villeroy and Bosch porcelain crockery. 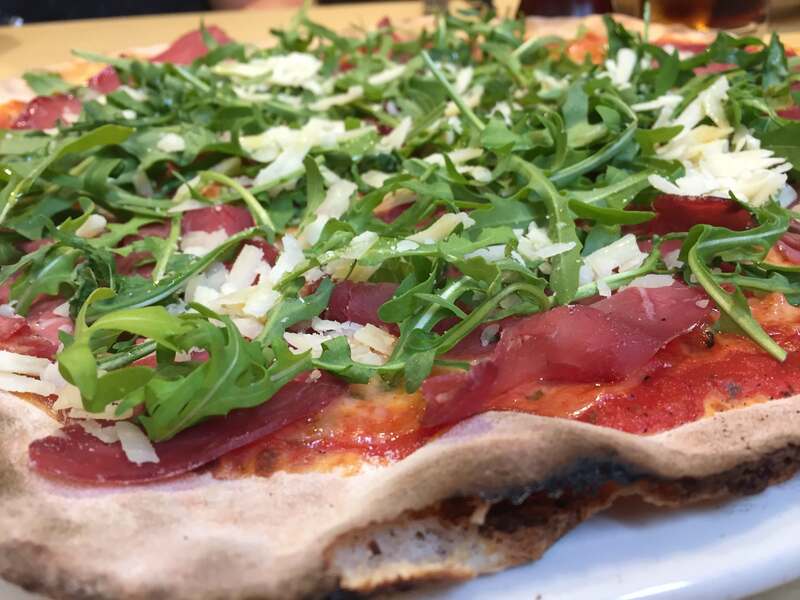 There is a wide variety of main course choices from the traditional oven baked pizzas that have thin crispy bases (just the way I like them) and pastas dishes served al dente .. through to Italian styled meat and fish dishes. 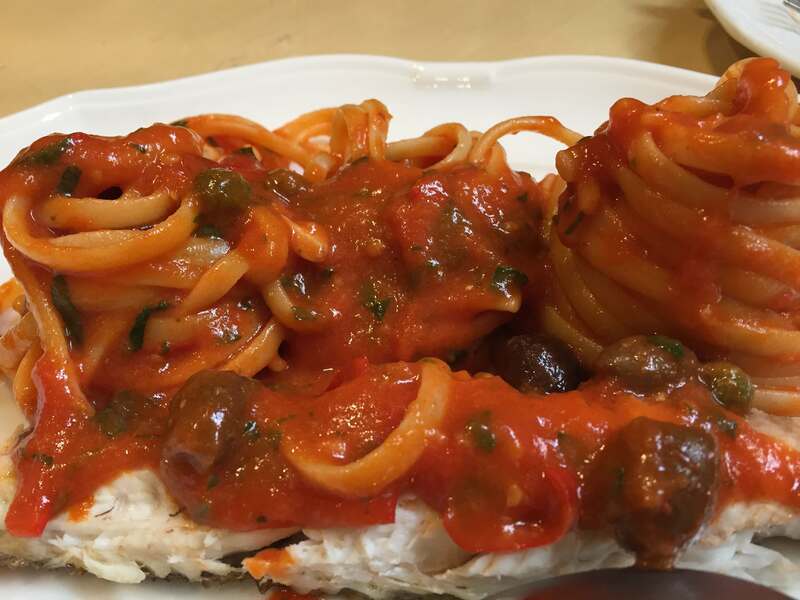 The pasta course was suggested by our Italian waiter included a recommended fish dish served with linguini, capers, olives and tomato called . The dramatic presentation and the theatre of the service brought the Italian flair to the table. All pizzas have a crisp thin base cooked to perfection, smothered in the finest tomato, cheese and fresh ingredients…. a very authentic rustic and Italian feel. 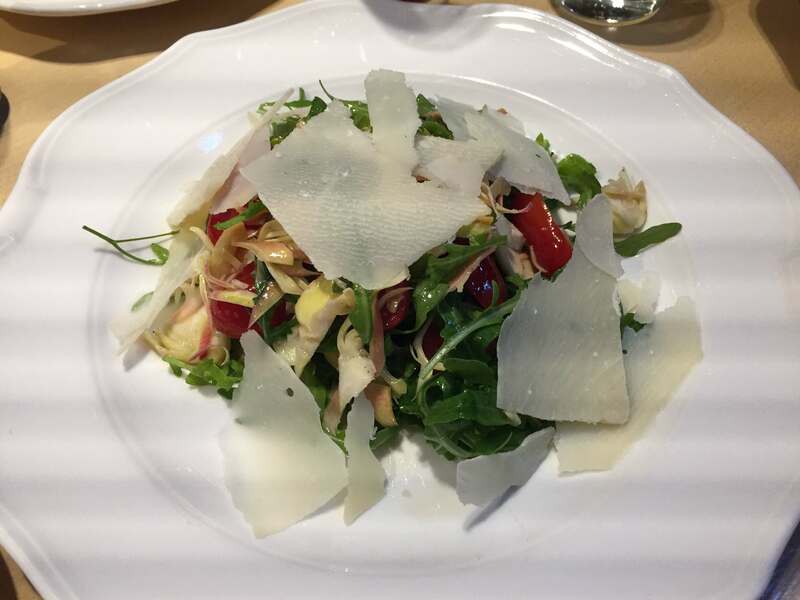 We also had the Artichoke salad with Rocket and Parmesan shavings. 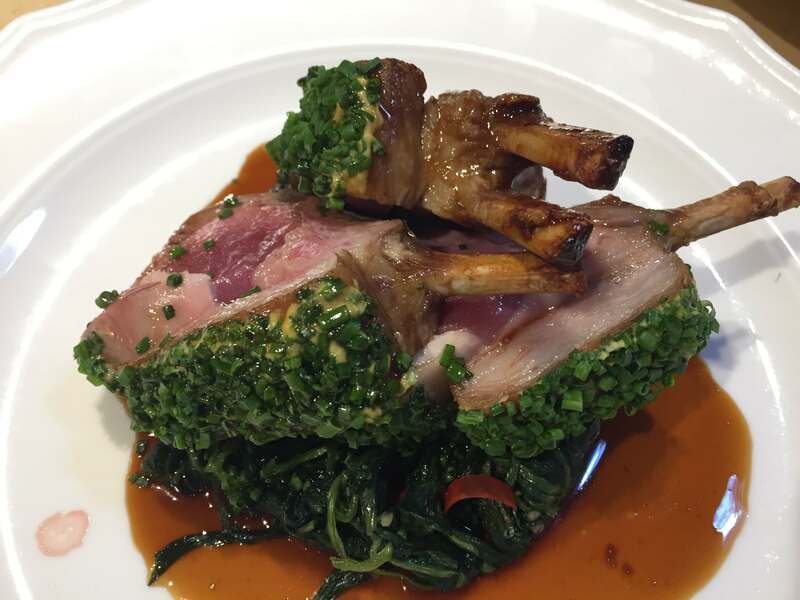 Rack of lamb on this restaurants menu is presented with a Tuscan twist creating a well presented classic dish served medium rare for those that prefer it this way. 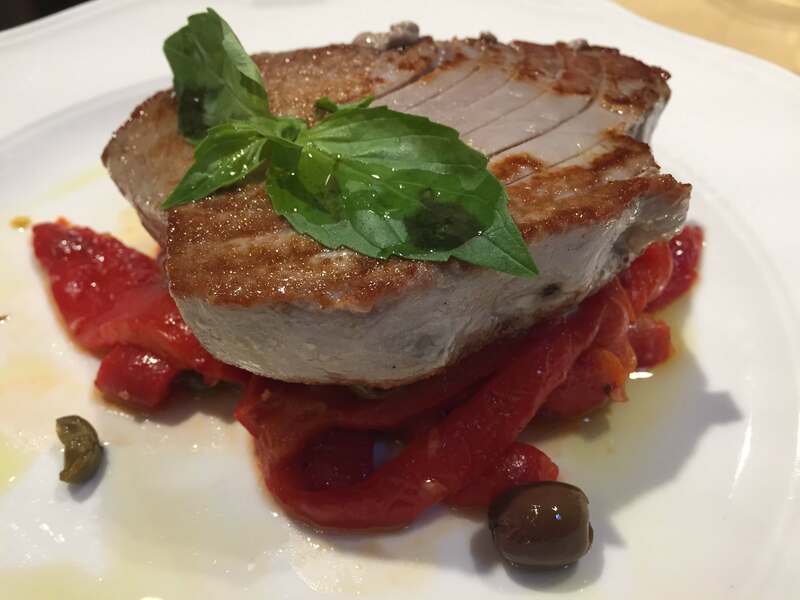 But the highlight of the meal for me was the Filetto di Tonno, the Tuna fillet with sweet peppers and black olives… this was simply the best Tuna I have ever had! 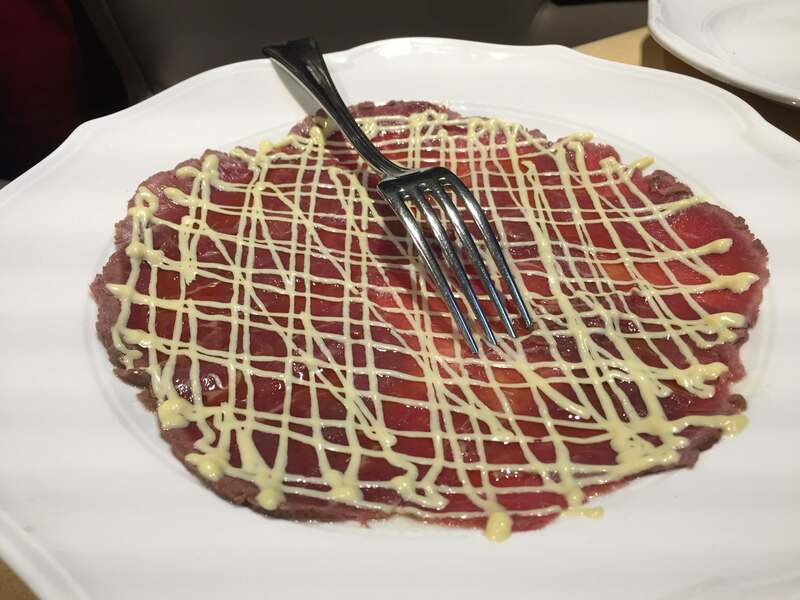 Memorable for its tender, juicy and evenly cooked flesh… this was a delight and certainly worthy of a return visit. The extensive choice of dishes on the menu here covered everyones taste and suited all palettes. 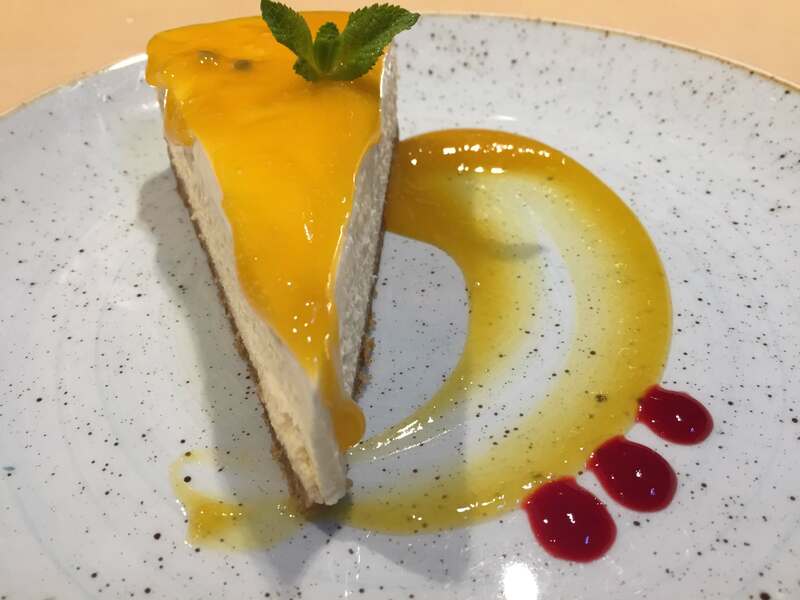 We chose to finish our meal by sharing the New York style cheesecake with passion fruit compote and the chocolate fondant with vanilla ice cream … both to die for! We visited Bocconcinos on a Saturday lunchtime and was able to find car parking spaces easily almost right outside the door of this establishment. Like in Monopoly, Mayfair is a strategic move on the part of the owner. Clever because of its targeted audience, strategic because its location is so prime and like the famous board game known for its return on investment. I would recommend you GO, and take a CHANCE with Bocconcino’s … you’ll be in for a treat!